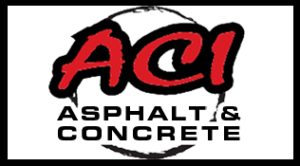 There’s Still Time to for Asphalt Patching Services | ACI ASPHALT & CONCRETE INC. If you think it is too late in the season to have your asphalt repaired with asphalt patching services, think again! There is still time to get your asphalt reinforced and ready to take on the elemental conditions. Continue reading to learn more about asphalt patching, as well as, how to get started on a free assessment for your commercial lot. When you want to protect the foundation and surface of your asphalt lot, patching is the way to go. Not only does asphalt patching provide extended resilience and longevity, it also renders an instant aesthetic upgrade. Asphalt patching is the process of filling in cracks, crevices, and potholes for a safer and higher-performing lot. There are many types of asphalt materials used to implement patching services, including hot mix asphalt, cold mix asphalt, asphalt emulsion mixes, and even proprietary mixes with special blends of such materials. The type of patching material used depends on several factors, but primarily the current surface condition of your lot will be the most influential. Since your asphalt lot cannot be repaved this winter, asphalt patching is an effective method of providing added strength and protection to your pavements. Freezing temperatures and precipitation, as well as frozen ground, make it virtually impossible to lay asphalt properly. Use asphalt patching services now to get your pavement through the harshest parts of winter, and then reconsider an asphalt overlay come spring! Talk to a local and trusted Indianapolis asphalt paving contractor for help identifying the pavement maintenance and repair needs of your commercial lot. They have the knowledge and hands-on experience to provide accurate assessments and principle-supported strategies to remedy your pavement weaknesses within a budget you can afford. Call ACI Asphalt and Concrete Inc. at 317-549-1833 for commercial asphalt patching in Indianapolis and its surrounding areas. Our licensed and qualified paving contractors provide a wide range of asphalt and concrete pavement repair and installation services at the most competitive prices in town, including winter cold patching and sealcoating. Request a free estimate, today. This entry was posted in Asphalt Repair and tagged asphalt patching benefits, asphalt patching services, asphalt patching winter, asphalt repair Indianapolis, winter asphalt repair Indianapolis. Bookmark the permalink.